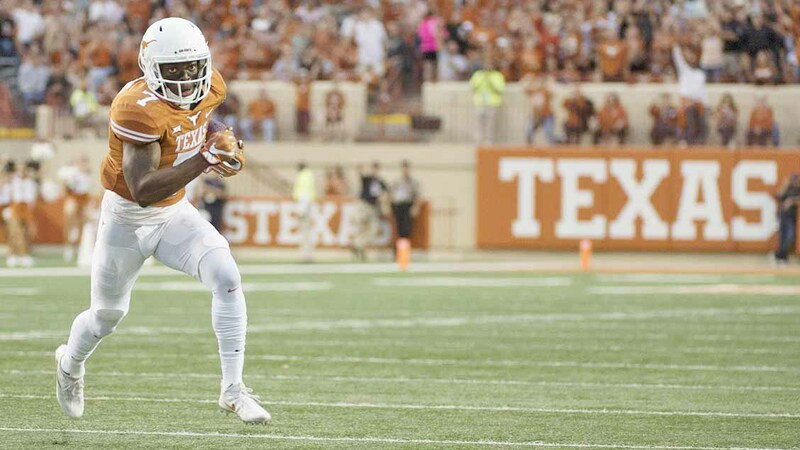 Senior Antwuan Davis had six tackles, one tackle for loss, a sack and an interception to help lead the Texas football team to a 28-14 road victory at West Virginia, a win that made the Longhorns bowl-eligible for the first time in three years (photo courtesy of texassports.com). MORGANTOWN, West Virginia — Two years without a bowl game is an eternity for a team like Texas with the proud legacy of success. Thanks to the Longhorns’ ferocious defense that keyed a 28-14 win Saturday at West Virginia on a cold, rainy and generally dreary afternoon at Milan Puskar Stadium, the Texas football team will not endure a third season sitting home during bowl season.